The Rebel Sweetheart. 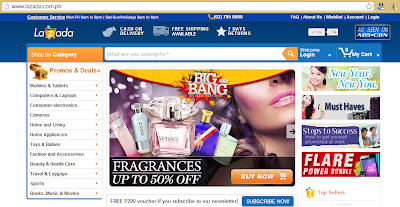 : Beauty Blowout, and much more at Lazada PH! After last week's Project BB Cream post, I've been receiving a number of interesting inquiries from my readers. Questions such as 'Have you been to Korea? ', 'Do you personally go to Korea to buy your makeup? ', 'Are the brands that you're using available in the Philippines? ', 'Do you know where I can buy those Missha BB creams at a cheaper price?' and the like have been popping in my email and comment box for the past few days. And no, I'm not complaining. I love hearing from you, my dear readers, and I actually go through each and every message/comment/tweet that you send me. Now to answer those questions - No, I haven't been to Korea. I am hoping though, that I can finally set foot on the Land of the Morning Calm this year. As for the Korean brands that I use, they were personally bought by my husband, who is currently based in Korea, and puts up with my penchant for makeup and cosmetics. And yes, most of them are available, and have outlets in the Philippines, too. As for the Missha BB Creams, you can purchase them at any of the three Missha branches in Metro Manila. Quite inconvenient, though, if you're coming from far-flung provinces. So a better option would be to shop online at Lazada Philippines, where some of my favorite Missha products are currently on sale. My favorite Missha Signature Wrinkle Filler BB Cream, for instance, is now priced at Php 1743. That's 15% off from its regular price of Php 2050. Also at 15% off is the Missha M Perfect Cover BB Cream, which is now priced at Php 1360. Aside from BB Creams, other Missha products are also on sale at Lazada, with discounts as much as 30% on the Near Skin Balance Softener and the Near Skin Extra Renew Cleansing Cream. Get discounts on these Missha products! Now if you're looking for other beauty and health care products, chances are, Lazada has them too -and at a discounted price, even. Visit the Lazada Philippines website to see more of their ongoing deals and promos! Fragrances at half the price?! Wow! Lazada Philippines is the fastest-growing online shopping site in the country. They offer a wide range of products, and provide a convenient, worry-free online shopping experience by providing free delivery, a cash on delivery option, and a 7-day return policy. Lazada has worldwide recognition, and is also available in Indonesia, Thailand, Vietnam, and Malaysia. Lazada is owned by Rocket Internet (http://www.rocket-internet.de), the world's largest, fastest and most successful international online venture builder. I guess this pretty much answers the first wave of questions, and I do hope you find these helpful. Lazada is indeed growing. It has a good selection of gadgets and it looks like it also has some good lines of beauty products. another awesome beauty post.your beauty blog going too nice dear. It's good that Lazada.com is offering more beauty products in the market and this can be a faster way to avail the product. I also have Missha BB cream! I love it! I also want to go to Korea someday, with the family. I heard it's really nice there. I have not shopped at Lazada yet, only from Zalora pa lang, w/c is a sister company. I have yet to check out Lazada. Online shopping is definitely much more convenient. I have read much about BB creams that I should try it soon. Will do just as you suggested and purchase from Lazada. Waaah I had no idea Lazada sold beauty products! Will check them out! I'm such a BB cream junkie hahaha! Lazada really deserves the title "mall" when it comes to online shopping. They have everything and most at bargain deals. Wow,you are lucky! I'm jealous! I live in India and ANYTHING bought from abroad will take more than a week due to customs! Plus, no Korean make up available at shopping malls either! I have only tried Etude so far (loving it! ), but I was wondering if Missha, with its wide range of shades, would suit acne prone skin like mine..
and btw, OMG, I am very honoured for the follow back! and it's SO awesome that you are a kpop fangirl!! :D (my family thinks i'm strange for being 20 years old and yet fangirling like a 13 year old :/)btw, could you follow me back on http://thewondergeek.blogspot.in/ instead? That's where I blog and fangirl currently (mylittlelitterbox is quite dead :C )Sorry for the inconvenience! 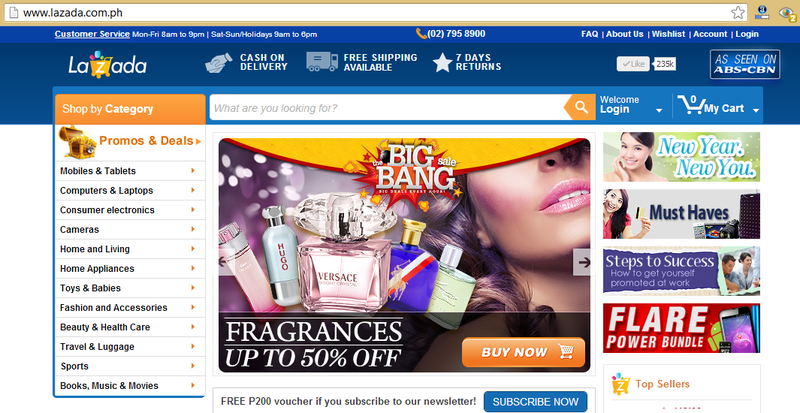 thanks to lazada ph for offering such great beauty products with free delivery and cashback at shopping.it's amazing!